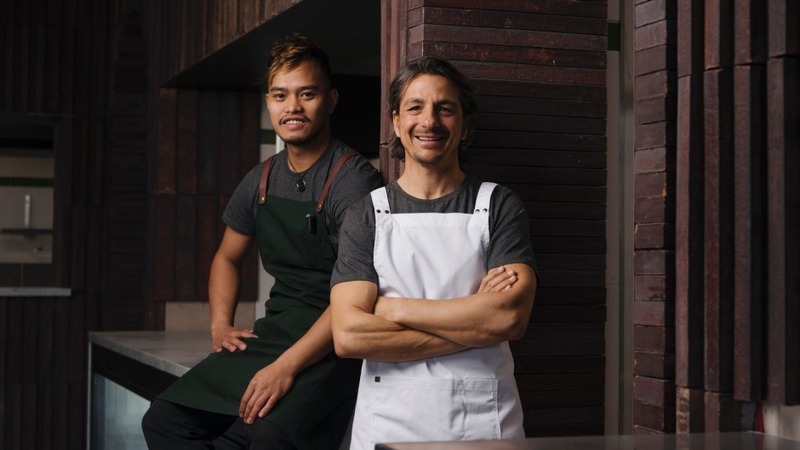 If a two-hatted Sydney chef opening an affordable spin-off restaurant in Sydney's north isn't a big enough challenge, Giovanni Pilu has taken it upon himself to usher in the return to fashion of the bane of home renovators: the arch. AcquaFresca by Pilu opens on Friday, June 29 at the $160 million Harbord Diggers redevelopment, the affordable spin-off to the hatted Pilu restaurant opening alongside other restaurant arrivals, including Teddy Larkins. The smart interior champions the arched doorway, while enjoying a view. "Pilu gets more of the beach, AcquaFresca is overlooking the rock face," the chef tells Good Food. It might be everyday Italian food, but Pilu wants it to be authentic. "We are importing the wholemeal flour for the pizzas from Sardinia. The gelato, which we're making with a local patisserie until I can afford the machinery, uses pastes from Sicily," he says. He's understandably confident AcquaFresca can hit the ground running, with most of the staff out of his stable, some moving across from his weekend marina lunch venue at Akuna Bay, which he maintains became too logistically challenging. "Our chef, Rey Ambas, has been with us for six years, from when he was an apprentice," Pilu says. "You can pop in here for some polenta and meatballs. There is Italian beer on tap, veal cutlet on the bone with a crumb made with of Sardinian bread, served with Italian 'slaw and roast potatoes. I'd love to see lots of families," he says. Open lunch and dinner daily. Harbord Diggers, 1/88 Evans Street, Freshwater, harborddiggers.com.au/page/dining-bars/acquafresca-by-pilu.